Do you have a satellite dish on your roof? And do you live in a cold climate? If you answered yes to both questions, I hope you get a satellite dish warmer like we told you about back in September. If you didn’t, you’re might not watch too much satellite TV this winter. Sooner or later, the snow and ice is going to accumulate on that dish and interrupt your transmission. Since it’s on your roof, you can’t climb up there to brush the dish off without risk of falling. (Repeat, DO NOT get up on your roof during the winter!) Fortunately, if you’re satellite dish is a popsicle, we have some solutions for you. Before you shout, “I’m not paying for another TV service,” hear me out. 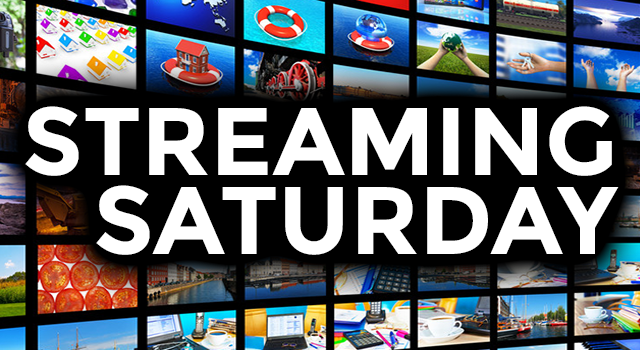 You can try streaming for free while you’re satellite TV is out of commission. Two of the biggest streaming services – DIRECTV NOW and DISH’s Sling TV – offer free trials. This can give you something to watch for a limited time while you wait for the next big warm snap. Since these streaming services are provided by the two big satellite TV services – DIRECTV and DISH – you should be very familiar with the programming offered by each. If you have DIRECTV’s satellite service, you should enjoy DIRECTV NOW. This premier streaming service delivers 65+ channels, many of them the same as what you get with your satellite TV subscription. Currently, you can get a one-week free trial for DIRECTV NOW. What would it hurt to give it a whirl for seven days to see how you like it? If you don’t want to continue it, make sure to contact DIRECTV and cancel DIRECTV NOW so you don’t get billed. If you’re thinking about getting DIRECTV NOW, consider getting it through Signal Connect, a division of Solid Signal. As an AT&T Preferred Dealer, Signal Connect offers some great incentives and savings. For example, if you’re an existing or become a new AT&T Wireless customer, Signal Connect offers qualifying customers a $15/month bill credit. Are you a first responder or military personnel, you’ll also get a $15 bill credit. There’s another way to get low-cost/no-cost streaming from AT&T and Signal Connect. It’s called AT&T Watch TV, and it features 39 national TV channels. You can get it for $15/month if you purchase it a la carte, and it also comes free with an AT&T Wireless account. Since Signal Connect is an AT&T Wireless provider, they can hook you up with that, too. If you want some entertainment you can enjoy on your phone or tablet while your dish is frozen, Signal Connect is the team you need to call. If you’re a DISH subscriber, you probably don’t want to jump over to the other side of the fence, even for a free trial. We admire your loyalty. We’re happy to tell you about DISH’s Sling TV. You can check out this streaming service for a free, seven-day trial. 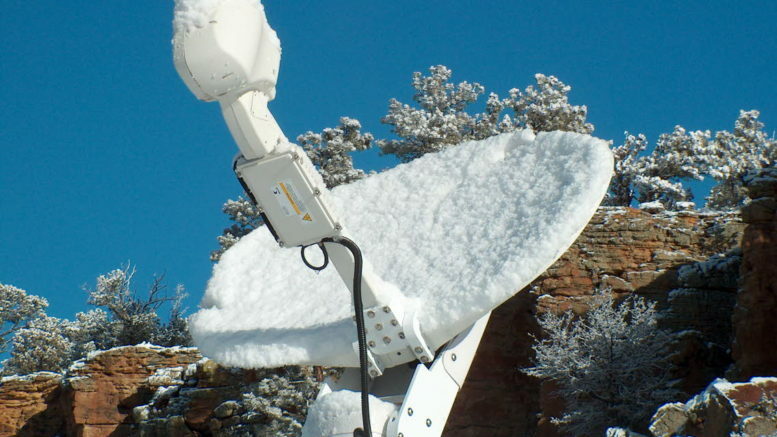 You’ll enjoy watching 30+ national channels while your satellite dish is encased in snow and ice. If you end up liking this streaming service, you won’t be alone. As of February 2017, Sling TV had an estimated 2.3 million subscribers, which was nearly 50 percent of all streaming customers at that time. Whether you want DIRECTV NOW or DISH’s Sling TV, you can try these streaming service providers out for free. Granted, it’s only for a week, but that’s a week with some of your favorite channels instead of being without them. If you want an AT&T Wireless plan and the Watch TV streaming that comes with it, call Signal Connect at 866-726-4182. They’ll be happy to answer your questions and give you the help you need. Chances are, you don’t want to try streaming because you love your satellite TV. That’s why you’re so disappointed that it’s frozen solid and not sending signal. If that’s the case, I have some good news. I’ve lived through enough Michigan winters to know that it’s not snow and ice all the time. If there’s a break in the weather, you can always get the satellite dish heater we told you to get back in September. If things warm up just enough, you might get the chance to get on the roof to install it… or call an installer.